In stone carving, to cut away material, leaving parts in relief. A non-reflective surface finish. An abrasive finish may be defined by the grit size of the abrasive. A measure of the wearing performance of stone for floors, stair treads, and other areas subjected to abrasion by foot traffic. Refer to ASTM C241 and C1353. The amount of water absorbed by a stone, expressed as a percentage by weight. Refer to ASTM C97. A solid stone “springer” at the lowest point of an arch or vault. In masonry, any ingredient added to mortar or concrete to speed the curing process. A treatment applied to the face of a stone to achieve a texture or finish that is distressed. Most acidic chemical treatments are effective only when applied to calcareous stone varieties. Used in reference to stone veneer, secured and supported by adhesion of an approved bonding material over an approved backing. A material other than water, aggregates, lime or cement, added to concrete or mortar at the time of mixing. Admixtures are typically added to function as water repellents, coloring agents or to adjust the curing rate of the concrete or mortar. A volcanic, quartz based stone containing a variety of colored aggregates and pumice in a quartz matrix. Quarried in Mexico. A variegated, translucent, cryptocrystalline variety of quartz showing colored bands or other markings (clouded, mosslike, etc.). A manmade product composed of crushed stone combined with resin. See also engineered stone and cultured stone. A small mass of rock, having occurred naturally (as in sand or gravel) or by means of manufacture (as in a crushed aggregate product), used either in a loose, noncohesive state, or as an ingredient in mortar or concrete products. A fine grained and translucent variety of gypsum, generally white in color. Commonly used in decorative applications as it is can be cut and carved easily with a knife or saw. 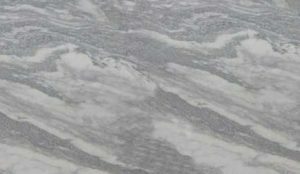 Term is often incorrectly applied to fine grained marble. Pertains to a highly basic, as opposed to acidic, substance; for example, hydrogen or carbonate of sodium or potassium. The safe load that can be resisted by a stone anchor, determined by dividing the ultimate capacity by the factor of safety. Temperature of the surrounding environment. A corrosion resistant metal fastener used for securing dimension stone to a structure or adjacent stone units. Anchor types for stonework include those made of flat stock (straps, dovetails)and round stock (rod cramp, rod anchor, eyebolt and dowel). The means by which slabs are secured to a self supporting structure. The angle a normal pile of loose material makes to the horizontal. Used as an indicator of flowability; the steeper the slope, the more sluggish the flow. Having properties, either visual or mechanical, that differ based on the direction in which they are measured. All stones are anisotropic to some degree, but the sedimentary stones typically have the greatest degree of anisotropy. A dark-colored igneous rock consisting mostly or entirely of calcic plagioclase. A finish that replicates rustic or distressed textures. Produced through mechanical or chemical means to simulate the naturally occurring effects of the aging process. Uppermost stone in a gable, pediment, vault or dome. A trim piece under a projecting stone top, stool, etc. The curved or pointed construction over a doorway or opening. 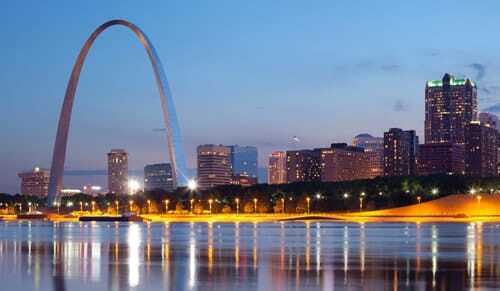 Arch shapes range from flat to semicircular or semielliptical to acutely pointed. The beam or lowest division of the entablature in the classical orders, spanning from column to column. The decorated surrounds of a window or door at the head and jamb. A weakly metamorphosed compact rock composed mainly of clay and shale. Used locally as building stone, although rarely produced commercially. A manmade product attempting to replicate the look of natural stone. This term is actually a misnomer, as it includes an obvious contradiction of terms. Stone is naturally occurring earth material. See engineered stone and cultured marble. The Allied Stone Industries is made up of stone quarriers, fabricators, and the suppliers of natural building materials and related machinery and tools. A consensus standards authoring organization originally founded 1896 as American Society for Testing Materials. Hand-dressed stone surface showing fineto- course, generally linear toolmarks made by axe, pick or bush hammer. Any of a variety of anchors that extends from the back surface of a stone panel, as opposed to anchors that penetrate the edges of a stone panel. A flexible and compressible type of closed cell foam polyethylene, butyl rubber, or open-cell or closed-cell polyurethane, rounded at surface to contact sealant. The backer rod is positioned within the joint so as to maintain appropriate depth and crosssectional shape of the bead. A vertical covering of the wall where a countertop surface meets the wall surface,designed to protect the wall from moisture. Backsplashes range from a few inches in height to “full height backsplashes” that extend from the countertop surface to the underside of the upper cabinets. A structural support wall erected behind stone or brick facing. A short post or vertical member in a series that supports a railing or coping forming a balustrade. Balusters are traditionally decorative forms that are turned on a lathe. A railing system with top rail, balusters and bottom rail. Bench of timber or stone (may be a single block) on which stone is worked. A dark colored, igneous rock commercially known as granite when fabricated as dimension stone. The fine-grained and extrusive equivalent of gabbro. In masonry, the bottom course of a stone wall, or the vertical first member above grade or a finished floor. In geology, one of four subdivisions used to classify igneous rocks based on silica content: acidic, intermediate, basic and ultra-basic. Said of igneous rock containing relatively low silica content (approx.45 to 50%). A slot, generally not continuous, cut into the back or bed of dimension stone to allow entry of a supporting angle or clip. A horizontal joint between stones, usually filled with mortar or sealant. In stratified rocks, the unit layer formed by sedimentation; of variable thickness, and commonly tilted or distorted by subsequent deformation.It generally develops a rock cleavage, parting, or jointing along the planes of stratification. Plane of sedimentary stone in the position of its original formation. This plane maybe horizontal, coincident with mountain slopes, or random. General term referring to the rock underlying other unconsolidated material, such as soil. A continuous horizontal course, marking a division in the wall plane. Steps formed in a quarry by removal of stone. Also, a long seat of cubic stone. A term describing the intersection of two surfaces meeting at an angle other than 90 degrees. Rock species known to petrologists as diabase, diorite, gabbro and other varieties quarried as dimension stone. As dimension blocks or slabs, they are valued specifically For their dark grey to black color when polished. Scientifically, they are far removed in composition from true granites though they may be satisfactorily used for some of the purposes to which commercial granites are adapted. They possess an interlocking crystalline texture, but unlike granites, they contain little or no quartz or alkalic feldspar, and are characterized by an abundance of one or more of the common black rock-forming minerals (chiefly pyroxenes, hornblende, and biotite). A maintenance process required periodically to restore optimum performance of diamond abrasive cutting tools. The process consists of cutting or grinding into a softer material which will abrade at the matrix and expose new diamond surfaces. Dressing is frequently done with manufactured dressing sticks, soft brick, and some abrasive sandstones. Staining caused by corrosive metals, oil based putties, mastics, caulking, or sealing compounds. The random positioning of adjacent veneer panels, floor slabs, or tiles, to prevent large regions of uniform color, contrasted by adjacent large regions of dissimilar uniform color. A fine- to medium-grain, quartz based stone of the U.S. Appalachian Plateau. The stone is well known for relatively easy cleavage along generally flat planes, making it a common choice for naturally cleft products such as flagstone. The term “bluestone” may be used in other parts of the world to describe very dissimilar regional products. A free standing stone post or guard. 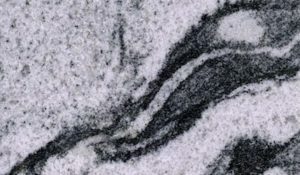 A vein matching technique where opposite faces of adjacent slabs are exposed, producing a repeating mirror image of the veining trend of the material. 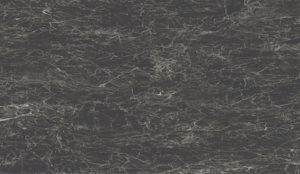 Bookmatched material is most commonly polished to allow the greatest visibility of the veining character of the stone. Usually a flat stone used as an edging material. A border stone is generally used to retain or define the pattern around the field of paving. In masonry, a roughly shaped stone set to project for carving in place. A carved ornamentation to conceal the jointing at the junction of ribs in a Gothic vault. Naturally rounded rock fragment larger than 256 mm diameter. Used for crude walls and foundation, generally in mortar. A warping or curving of a stone unit. Any marble composed of angular fragments. A hoisting system that consists of a hoist, normally using cables, which moves on a beam or “bridge” spanning an opening between two rails. The hoist moves laterally along the bridge and the bridge moves longitudinally along the rails, allowing the hoist to be over any position within the rectangle contained within the lengths of the two rails. A single spindle polishing machine that travels along a beam, or “bridge”, which travels atop two rails. Also known as a “gantry” polisher. A saw that travels along a beam, or “bridge”, which travels atop two rails. These saws are typically powerful and fitted with large diameter blades. A rotating table is positioned below the saw, allowing for skew cuts, and the saw arbor typically rotates, allowing for angled cuts. A trade term applied to ferruginous dark brown and reddish-brown arkosic quartz based stone extensively used for construction in the U.S. during the 19th century. A subtly textured surface finish achieved by wet brushing a stone with a coarse rotary-type abrasive brush. (Building Stone Institute) A trade association of quarriers, fabricators, dealers, and others working with natural stone. Founded in 1919, sponsor of the Tucker Architectural Awards. A smooth finish produced in limestone by grinding with power sanders. Rock material in its natural state of composition and aggregation as it exists in the quarry and is usable in construction as dimension building stone. Also used interchangeably with the term dimension stone. Convex rounding of a stone edge, such as a stair tread or countertop. A process which produces textured surfaces with small evenly spaced pits produced by hand or pneumatic hammer. The spacing between the pits is often defined as “6-cut,” “4-cut,” etc. An external corner formed by two stone panels with one finished edge in a lap joint configuration. Placing mortar on stone units with a trowel before setting them into position. Limestone composed predominantly of cemented sand-size grains of the mineral calcite (more rarely aragonite), usually as fragments of shells or other skeletal structures. Some calcarenites contain oolites (small, spherical grains of calcium carbonate that resemble fish eggs) and may be termed oolitic limestone. Calcareous sandstones, in which the calcium carbonate is present chiefly as bonding material, are not included in this category. Within the stone industry, the process in which stone slabs or units are abraded to achieve a more precise thickness tolerance (±1mm) than what would normally be produced by standard sawing techniques. The term is most frequently used in the production of stone tile, which must have limited thickness variation to allow installation using thinset adhesive. The term gauge is essentially synonymous, although is more commonly used to describe less precise techniques. A sheltering roof, as over a niche or a doorway. A volcanic, quartz based stone with qualities similar to adoquin, but not as dense. Quarried in Mexico. A structural member supported at only one end. The term is loosely used, although not technically correct, to describe an overhang. A weak acid with the formula H2CO3. It is also a name sometimes given to solutions of carbon dioxide in water. To shape a solid material such as stone by precisely cutting it with a tool. An opening in joints of stone veneer to allow the passage of air and moisture from inside the wall cavity to the exterior. The vents may be weep holes, plastic tubing, or wicks. A multi-wythe masonry wall built with a continuous cavity between the outer masonry, typically brick or stone, and the inner wall, typically concrete block or frame construction. The cavity is vented to reduce the amount of condensate that will collect in the space, and is wept to provide an evacuation path for any moisture that collects within the space. Cement Putty or Butter See neat cement. A flat treatment, produced by either grinding or cutting, to eliminate the sharp edge where two surfaces meet. A rough, gang-sawn finish produced by sawing with coarse abrasives. Hard, dense sedimentary rock composed of interlocking quartz crystals and possibly amorphous silica (opal). Synonymous with “flint”. Exterior veneer stone covering. Non-load bearing stone veneer used as the facing material in exterior wall construction. An individual grain or constituent of a sedimentary rock. The ability of a rock mass to break along natural surfaces; a surface of natural parting. Plane or planes along which a stone may likely break or delaminate. Rough-surfaced stones such as slates or sandstones that are cleaved or separated along a natural seam are referred to as natural cleft. A computer numeric controlled, multiaxis, vertical spindle machine designed to use rotating milling and profiling tools to produce shapes, cut outs, holes, finishes, and various other operations in stone that are otherwise accomplished by more labor intensive techniques. A range of columns supporting an entablature or one side of a roof. A product that is designed to enrich, brighten and enhance the color and/or character of the stone. Stone enhancers are more frequently used on honed or textured surfaces where the stone color and/or character are muted by the finish. Enhancers are also used to match the color of an exposed slab edge to that of a resin treated slab face. A vertical support, usually consisting of a base, shaft, and capital. (ASTM C170) A measure of the resistance of the stone to crushing loads, generally tested per ASTM C170. A coarse-grained sedimentary rock, with clast grains larger than 2 mm. Construction (cold) Joint The joint between two separate placements of concrete. Company or person that erects and installs fabricated dimension stone. A general term, often used interchangeably with belt conveyor, but applicable to all conveyor types including pans, screws, buckets, pneumatics, radial stackers and others. A stone used as a cap on freestanding walls. Limestone composed predominantly of shells or fragments of shells loosely cemented by calcite. Coquina is coarse textured and has a high porosity. The term is applied principally to a very porous rock quarried in Florida. A projection or bracket extending from the face of a wall to support an element above it. The cylindrical mass of stone that results from drilling a hole in stone with a hollow core bit, often times is used as a sampling technique in quarries. A hollow cylindrical drilling tool that bores a hole by abrading only the perimeter of the core, utilizing less abrasive than a bit that would abrade the entire diameter of the hole. A drilling process by which a section of rock is taken for the purposes of testing and evaluation. A ceremonial stone at an exterior corner of a building, generally engraved with pertinent information about the building’s construction, including the date. Also used to describe a masonry stone unit erected at an exterior corner from which lines can be strung to control the linear position of subsequent stone units. Any projecting ornamental molding that crowns or finishes the top of a building or wall. A horizontal range of stone units the length of a wall. A veneer achieved by using stones of the same or approximately the same height with stones that achieve that height in multiple courses. Some horizontal joints run the entire length of the veneered area. Vertical joints are constantly broken, so that no two joints will be over one another. A concave stone molding. See base. A concave molding, typically found at the sloped or arched junction of a wall and ceiling. A man-made break, split, fracture, separation, cleavage, or elongated narrow opening, visible without magnification to the human eye and extending from the surface into the stone, which must extend through the grain or matrix of the stone. A U-shaped metal anchor used to hold two adjacent units of stone together. The arrangement of laminations of strata transverse or oblique to the main planes of stratification. The process of cutting the initial block of stone parallel to the natural bedding plane. The effect is a mottled or cloudlike appearance. 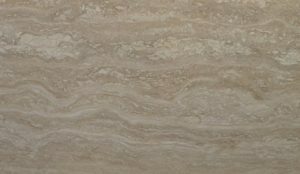 Synonymous with fleuri cut, although the term cross cut is most often used when describing travertine materials. Dimension units more than 2 inches thick e.g., cubic limestone, cubic marble. An artificial, manmade product somewhat resembling marble. Shop tool used to remove large amounts of material from the edge of a stone. These can be used to aid in the creation of edge profiles and larger radii. The time required for a chemical reaction (polymerization or hydration) to be completed in a sealant, concrete, mortar, or other construction element until the finished visual and performance attributes are developed. A non-bearing exterior stone cladding supported by an anchoring system. Used to protect a building from the elements. A resilient pad placed between adjoining stone units and other materials to absorb or distribute loads. Currently, stone that has been fabricated to a finished size and configuration and ready to be installed. Historically, the term “cut stone” was used to describe limestone products. Time for a machine to complete one cycle, i.e., load, haul, dump, return. One or more coatings of a compound that is impervious to water. Usually applied to the back or face of the stone or the back of the wall at or near grade. Permanent gravity induced loads, such as those developed by the structure, finishes, and permanently affixed elements. See also live load. A hoisting device, usually made up of a guyed mast and hinged boom with pulleys and cables. A carbon based mineral, usually manmade, used as an abrasive in stone cutting equipment. A vein matching technique in which contiguous faces of adjacent slabs are “unfolded” about two perpendicular axes, producing a vein pattern which has approximate symmetry about a point. A machine using cable of various diameters and lengths, impregnated with diamond dust or more commonly fitted with cylindrical diamond coated segments. Diamond wire saws are used in quarrying, slabbing, and contour sawing operations. A covering layer of interior stone from wainscot to ceiling. A software and camera system allowing fabricators and distributors to have a photographic inventory of their materials. Software designed to allow CAD drawing files to be used with scaled digital photographs to allow a fabricator to preplan the layout of his slab or tile project prior to cutting. A process for virtual, digital measurement of site conditions which eliminates the need to make physical templates. Digital templating information can be interfaced with various CAD and CNC systems to allow rapid transfer and utilization of the information. A natural stone product that has been cut, machined, and/or finished to specific size or shape. A crystalline variety of limestone containing in excess of 40 percent magnesium carbonate as the dolomite molecule. Also called “dolostone”. Limestone that contains more than 10 percent but less than 80 percent of the mineral dolomite. See entry 2 under dolomite. A continuous groove with a trapezoid section resembling a dove’s tail. A short piece of cylindrical nonferrous metal used as a stone anchor. Tooled border around the face of a stone. Also called “margin draft”. The shaping and squaring of natural stone blocks for storage and shipment. Sometimes called “scabbing”. Machines used in quarry operations to bore holes in a linear path to facilitate separation of the stone loaf from its insitu position. A groove or slot cut beneath and slightly behind the forward edge of a projecting stone member, such as a sill, lintel or coping to cause water to drop at that location and prevent water from running down the face of the wall. A projecting molding over the heads of doorways, windows and archways to throw off the rain. Also known as a “hoodmold” and, when rectangular, as a “label”. A naturally occurring unhealed fracture in stone which may be a plane of weakness. In rubble masonry construction, a self supporting wall erected without mortar. Multiple contrasting finishes, such as thermal and polished, on one piece of stone. The measure of the ability of natural building stone to endure and to maintain its essential and distinctive characteristics of strength, resistance to decay, and appearance, while exposed to the elements encountered in its application environment. A slightly arrised, chamfered, or radiused edge to eliminate the sharpness of the fabricated stone edge. The underside of a sloping roof that overhangs a wall. Tool with carbide jaws used to create a “pitched”, “quarry”, or “chiseled” edge without using a hammer and chisel. The specific contour to which an exposed edge has been shaped, normally for decorative purposes. A drawing of the vertical faces and elements of a structure, either interior or exterior. Marble deriving decoration from fossils (encrinites) or shells. A composite beam member carried by columns and made up of an architrave (bottom), frieze (middle), and cornice (top). The slight convexity designed in a column shaft for aesthetic purposes. This is done intentionally to offset the perceived illusion of concavity of a perfectly straight shafted column. The process of setting vertical dimension stone into place. A socket that grips a drilled hole in concrete by expanding as a tapered bolt is drawn into it. The visible side of any stone element. Used in reference to dimension stone, it means having undergone cutting, machining, or other processes in order to refine the product for its intended application manufactured and ready for installation. The exposed surface of stone on a structure. Any flat horizontal member, generally between moldings, most frequently used when referring to elements of a classical architecture cornice. The rate of speed with which routing, cutting, or sawing blades and bits travel as they are cutting the material. Said of limestone or sandstone containing a high proportion of iron oxide. A fine grid mesh reinforcement that is adhered to the back surface of stone slabs which have limited stability. The primary intent of this reinforcement is to reduce safety risks in the handling of fragile slabs. A naturally occurring, irregularly shaped stone, as found in a field, used for various building applications without further fabrication. Field stone are commonly used in freestanding walls, veneers, walkways, and garden bed linings. A trade expression used to indicate the filling of natural voids in stone units with cements or synthetic resins and similar materials. The powder, dust, and silt- or sand-sized material resulting from processing, usually crushing, stone. Process applied to the exposed surfaces of dimension stone during fabrication to achieve the desired aesthetic and/or performance characteristics of the stone. The finish may be applied early or late in the fabrication sequence. An industry term describing any naturally occurring separation along crystalline boundaries visible in exposed surface of the stone. Note that the industry use of this term is different than the scientific, geological use of this term. Thin slabs of stone with irregular shapes and split edges used for paving surfaces such as walks, driveways, and patios. The term is used to describe any stone used in this pattern, although is most often used to describe sedimentary stones that have been cleft into their final thickness. 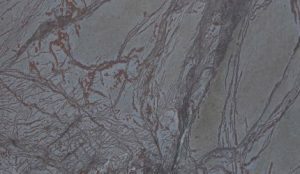 The mottled random effect obtained when slabs of certain stone varieties are sawn parallel to their natural bedding planes. See also Cross Cut. To cut slabs of quarried stone parallel to the natural bedding plane. A bending strength test, normally performed per the ASTM C880 test method, in which a sample of stone of the project thickness is supported by two support rods creating a span of at least 10 times the thickness, and loaded to failure by two rods positioned at quarter points of the span. The results are reported as the stress experienced by the stone sample at the time of specimen failure, and expressed as a force per unit area (lbs/in² or pascals). See also modulus of rupture. Stone used as an interior pedestrian walking surface. One of series of shallow, concave, parallel grooves running vertically on the shaft of a column, pilaster, or other surface. Any break or separation of fabric within the stone as a result of mechanical stress. A stone that may be cut freely in any direction without fracture or splitting. Also called “universal stone.” See isotropic. A heavy equipment earth moving machine with a hydraulically powered bucket on two booms (or arms) extending in front of the tractor portion of the machine. The bucket may be replaced with other devices to accomplish specific tasks in stone quarrying operations. A group of dark-colored basic intrusive igneous rocks composed chiefly of labradorite or bytownite and augite. It is the approximate intrusive equivalent of basalt. A stone chip or spall. A mechanical device employing a series of parallel reciprocating saw blades to cut stone blocks into slabs of predetermined thickness. The most common variety of gang saw used in the stone industry uses a slurry containing steel shot as the abrasive medium; but diamond segments mounted to steel blades are commonly used in gang sawing softer stone such as marble or limestone. Any process, although most frequently grinding, done to reduce the effects of the tolerances of stone slab thickness. Gauging may be done to a precise thickness with a specific tolerance, or may simply be done to two or more stones until the thickness of the lot is uniform. See also calibrate. A trade term in the limestone industry for a former fracture or parting that has been naturally recemented and annealed by deposition of transparent calcite. Similar to calcite streak, but transparent. Compare with dry seam. An instrument designed to measure the reflectivity of a surface. Coarse-grained, metamorphic rock with discontinuous foliation caused by planar alignment of plate and lath-shaped minerals. When used for building stone, generally classed as trade granite. Most gneiss is dark and composed mainly of quartz, feldspar, mica and ferromagnesian mineral (iron-magnesium silicates). A term that includes granite (as defined below) plus gneiss, gneissic granite, granite gneiss, and the rock species known to petrologists as syenite, monzonite, and granodiorite, species intermediate between them, the gneissic varieties and gneisses of corresponding mineralogic compositions and the corresponding varieties of porphyritic textures. 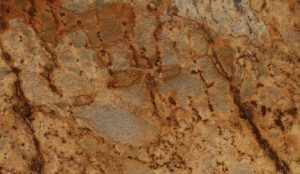 The term commercial granite shall also include other feldspathic crystalline rocks of similar textures, containing minor amounts of accessory minerals, used for special decorative purposes, and known to petrologists as anorthosite and larvikite. A visibly granular, crystalline rock of predominantly interlocking texture composed essentially of alkalic feldspars an quartz. Feldspar is generally present in excess of quartz, and accessory minerals (chiefly micas, hornblende, or more rarely pyroxene) are commonly present. The alkalic feldspars may be present (1) as individual mineral species, (2) as isomorphous or mechanical intergrowths with each other, or (3) as chemical intergrowths with the lime feldspar molecule, but 80 + 3% of the feldspar must be composed of the potash or soda feldspar molecules. A very hard, crystalline, igneous rock, gray to pink in color, composed of feldspar, quartz, and lesser amounts of dark ferromagnesium materials. Gneiss and black “granites” are similar to true granites in structure and texture, but are composed of different minerals. Commercial and scientific definitions of the granite group are explained in detail in ASTM C119. Stones having a texture characterized by particles that are apparent to the unaided eye. For sedimentary rocks, particles less than 4 inches in diameter and approximately equal in size. A metamorphic rock, typically with poorly defined granularity, ranging in color from medium-green or yellowish-green to black. Refer to greenstone group in ASTM C119. A device used for cutting stone slabs to sizes by means of wedges driven by hydraulic pressure. The resultant fracture is of low precision, with a ragged, chipped appearance. Rock salt; the mineral form of sodium chloride (NaCl); a sedimentary rock. In stones, hardness most frequently refers to stone’s resistance to abrasion, particularly abrasion due to foot traffic, as tested by either ASTM C241 or C1353. In minerals, hardness generally refers to the mineral’s rank within the Moh’s Scale of Mineral Hardness. Originally the single large stone or stones used for the hearth, now most commonly used to describe the stone in front of the fire chamber and many times extending on either or both sides of the front of the fire chamber. A satin-smooth surface finish with little or no gloss. A residual or permanent volume change in stones after the temperature has been normalized, generally causing the stone panel to bow. Most commonly associated with fine grained true marbles used in thin panel applications. Any of the various volcanic rocks, solidified after the molten state, such as granite. Igneous is one of the three main rock classifications. Compare with metamorphic and sedimentary. 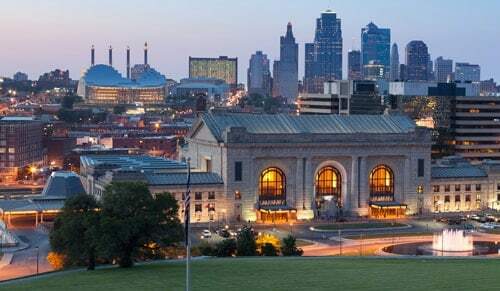 (Indiana Limestone Institute of America) A trade organization established for the dissemination of information on limestone standards, recommended practices, grades, colors, finishes, and all technical data required for specifying, detailing, fabricating, and erecting Indiana Limestone. Publishers of the Indiana Limestone Handbook and other technical publications, founded in 1928. Any applied repellent that penetrates the stone and resides below the plane of the finished surface. Impregnators may be hydrophobic (water-repellent), oliophobic (oil repellent), or both, and are used in some stone varieties to increase stain resistance. To cut inwardly or engrave, especially in a “V” shaped profile, as in an inscription. A joint separating a concrete slab from another element, such as a column or wall. A space between installed stone units or between a dimension stone and the adjoining material. The intentional pattern created by the direction and position of stone joints as determined by the design professional for aesthetic reasons. A hydrous aluminum silicate mineral. The central stone of an arch, sometimes sculpted or otherwise embellished. 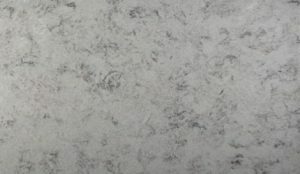 Two or more thicknesses of stone slab adhered together at an exposed edge, usually in decorative work such as countertops, creating an aesthetic effect that suggests that the stone is thicker than it actually is. Laminated edges may be dressed or profiled to a variety of shapes for additional decorative value. An acronym for Light Amplification by Stimulated Emission of Radiation, which produces an intense narrow beam of coherent, monochromatic light. Lasers are used in the stone industry for a variety of cutting machine alignment aids, layout aids, and leveling instruments. Any machine that spins a block or multiple blocks of material about a horizontal axis for the purposes of creating shapes that have symmetry about the axis of rotation, such as columns, balusters, and urns. Although not often used in modern masonry construction, these were small shims made of lead or similar malleable metal alloys used in horizontal joints to support the stones until the mortar has set. A pin, usually with an eye at the upper end, used in pairs and fitted to holes drilled at opposing angles in cubic stones for hoisting purposes. A sedimentary rock composed primarily of calcite or dolomite. The varieties of limestone used as dimension stone are usually well consolidated and exhibit a minimum of graining or bedding direction. See definition of limestone group in ASTM C119. A horizontal stone spanning over the opening of a door, window, or other opening that acts as a beam to carry the weight of the wall above it. The planar offset of the finished surfaces of two adjacent stone units. The portion of a load on a structural member that is variable, such as occupants, furniture, traffic, and wind. See also Dead Load. An electronic device (transducer) that emits an electric signal based on the force applied to the device. In stone masonry, a sill that projects into the jambs of a window or door opening (compare slip sill). In limestone, the generally recognized standard machine finish produced by the planers. Also known as “machine smooth” or “planar” finish. Cleaning and/or other remedial activity performed on a scheduled basis: daily, weekly, etc. in order to remove dirt, dust and other contaminants that degrade the stone’s appearance and/or performance. A metamorphic crystalline rock composed predominantly of crystalline grains of calcite, dolomite, or serpentine, and capable of taking a polish. Commercial and scientific definitions of the marble group are explained in detail in ASTM C119. A crystalline rock, capable of taking a polish, and composed of one or more of the minerals calcite, dolomite, andserpentine. Commercial and scientific definitions of the marble group are explained in detail in ASTM C119. (MIA)An international trade association whose membership is composed of producers, fabricators, contractors, exporters, importers, distributors, sales agents, and vendors who provide products and/or services to the dimension stone industry and building owners. 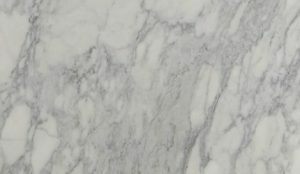 MIA traces its roots back to the National Association of Marble Dealers, founded in 1907, which joined with the National Association of Marble Producers in 1944 to form the Marble Institute of America (MIA). The National Association of Marble Builders merged with MIA in 1962. The change or alteration in a rock caused by exterior agencies, such as deep-seated heat and pressure, or intrusion of rock materials. Said of a stone that consists largely or wholly of crystals that are so small as to be recognizable only under magnification. In the stone industries, comprehensive term for processing quarry blocks through sawing, planning, turning and cutting techniques to finished stone. Any condition of stone veneer, coping, paving strips, etc, where a corner condition is accomplished by two stones with angular cuts, with the angles of the cuts being equal to the bisection of the total angle. See also quirk miter. A sample section of stonework that is installed, often including other related construction components, for the purpose of obtaining designer and owner approval prior to commencement of quarrying, fabricating, or installation of stonework. The mockup may be independent of the project or may be part of the project and remain in place as part of the completed work. Refers to standard patterns used throughout the stone industry that are usually based on multiples of a given height or size. A bending strength test, normally performed per the ASTM C99 test method, in which a small sample of stone (8” x 4” x 2¼”) is supported by two support rods, and loaded to failure by a third rod positioned at the center of the span. The results are reported as the stress experienced by the stone sample at the time of specimen failure, and expressed as a force per unit area (lbs/in² or pascals). See also flexural strength. A relative scale of mineral hardness developed by German Mineralogist Friedrich Mohs in 1822 ranking ten common minerals by their scratch resistance. Decorative stone deviating from a plane surface by projections, curved profiles, recesses or any combination thereof. Shaped from a single block of stone, in contrast to a unit that was created by Miter using multiple units of stone. A mixture of cement paste and fine aggregate used in setting stone units or filling joints between stone units. Mortar may contain masonry cement, or may contain hydraulic cement with lime (and possibly other admixtures) to afford greater plasticity and workability than are attainable with standard portland cement mortar. The abbreviation for Material Safety Data Sheet. The information required by OSHA’s Hazard Communication Standard (HCS) to convey hazardous information to downstream customers. The horizontal stratification of stone as it was formed in the deposit. Stone that is split (cleaved) parallel to its stratification, yielding a surface that is irregular to a degree that corresponds with the flatness of the material’s layering. The abbreviation for the National Building Granite Quarries Association, a trade association whose membership is composed of granite producers in the United States. Collectively, these companies provide a major portion of the domestically quarried architectural granite produced in the U.S.
A fluid mixture of portland cement and water, with or without other ingredients; also the hardened equivalent of such mixture. Commonly used in a thick, creamy consistency to parge the stone surfaces and strengthen the bond between a stone and a setting bed. Also called “cement butter,” “cement paste” and “cement cream.” See also back parging and parge. A recess in an interior or exterior wall usually for a statue or an urn, often semicircular in design. Mortar composed of materials which individually or collectively do not contain material that will stain the adjacent materials to which it comes in contact. (National Tile Contractors Association) A trade association whose active membership consists of ceramic and stone tile installation contractors in the United States, with an associate membership of those who supply products and services to the industry. Founded in 1947. A glassy phase of lava. Also “fall off.” See Remnant. A calcite-cemented calcareous stone formed of shells and shell fragments, practically noncrystalline in character. It is found in massive deposits located almost entirely in Lawrence, Monroe, and Owen Counties, Indiana; and in Alabama, Kansas, and Texas. This limestone is characteristically a freestone, without cleavage planes, possessing a remarkable uniformity of composition, texture, and structure. A quarry with relatively large lateral expanse when compared to its depth, in contrast to traditional derrick quarries which had relatively short lateral dimensions and great depths. The acronym for Occupational Safety and Health Administration. That part of a geologic formation or structure that protrudes above or at ground level. A temporary support extending from machinery, such as cranes, to provide greater stance width and improve stability when handling loads with extended boom lengths. Waste stone, earth or other material covering the deposit of stone which must be removed to gain access to the desired stone. The portion of a stone that protrudes past the surface on which it is set. A relatively strong acid that is used, typically as an additive to other polishing compounds, in the polishing of many marbles and limestones. To stack and secure stone units to a pallet for ease, safety, and efficiency in handling and transport. A term used to describe either a single unit of fabricated stone veneer, or a preassembled panel including multiple stone units affixed to a structural panel framework. A low wall along the edge of a terrace, roof, or balcony, which is usually simply the extension of the exterior wall below it. To apply a thin coat of mortar, thin-set, neat cement, or other bonding agent to the back of stone units, or to the face of the backup material, normally for the purpose of reducing the voids, increasing bond strength, or waterproofing. See also back parging and neat cement. In classical architecture, the support for a column or statue, consisting of a base, dado, and cap. The gable end of a roof in classical architecture. Located above a horizontal cornice member, it comprises the raking cornices and the tympanum. It is typically triangular, but can also be curved when applied as a decorative element over windows. Permissible Exposure Limit: PELs are established and enforced by OSHA to protect workers against the health effects of overexposure to hazardous substances. Any method of drilling that includes a combination of hammering blows along the longitudinal axis of the bit with rotation of the bit. Also called “hammer” drilling. One which contains a considerable number of relatively small openings, often called pierced wall or screen wall. Garden structure formed by two rows of posts or pillars with joists and open framing above, often covered by climbing plants and shading a walkway. One of the relatively large and ordinarily conspicuous crystals of the earliest generation in a porphyritic igneous rock. A shallow, engaged pier or column projecting from a wall, only decorative in function. A tile finish that features softly rounded edges, thus giving the tile a pillowed look. A rustic finish for veneer stone created with a split or chiseled face, and dressed along the stone’s perimeter to produce convex projection. See also rock faced. A stone surface produced by setting a planer blade so deep that it removes stone by spalling rather than by shaving. Applies to igneous rocks formed beneath the surface of the earth, typically with large crystals owing to the slowness of cooling. The final filling and finishing of mortar joints that have been raked. A process utilizing abrasives in combination with specific polishing powders and/ or chemicals to produce a glossy, highly reflective surface finish on the stone. An igneous rock characterized by distinct and contrasting sizes of coarse and fine-grained crystals. Used as a decorative building and/or paving stone. A porch formed by a roof supported with columns, similar to a temple front. Any absorbent material (powder, cloth, etc) used in a saturated condition with water or solvent based fluids and applied to a stone surface for the purpose of removing embedded stains. designed to protect the wearer’s body from injury from exposures in the work environment. A composite unit consisting of a structural backing, usually steel or concrete, multiple panels of stone, and necessary anchorage and connection hardware that is built off-site and transported to the construction site for erection. In stone facades, refers to a bi-material panel consisting of multiple stone face units and a concrete backer panel. The panel is cast off-site, then transported to the construction site for erection. A thin stone panel between urinals. See urinal screen. Company or person that quarries and supplies dimension stone to the commercial market. Any grinding wheel that has convex or concave shapes and can be adapted to a router, hand held grinder, or CNC machine for the purpose of producing a desired shape to a stone edge. Any stone that is installed in a position outward of the balance of the wall for aesthetic or water control purposes. The practice of locating mineral deposits of commercial value. Exceptionally cellular, glassy lava resembling a solid froth. A term used by some producers to mean the lot of material has not been culled or otherwise limited for range of color and/ or features, and includes the entire spectrum of material that is yielded by that particular deposit. A term used by the limestone industry to describe the natural moisture in freshly quarried stone. A silicon dioxide mineral that occurs in colorless and transparent or colored hexagonal crystals or in crystalline masses. One of the hardest minerals of abundancein stones such as sandstone, granite, and quartzite. A dimension stone group that includes both sedimentary (as in sandstone) or metamorphic (as in quartzite) stones and are characteristically high in free silica content. Definitions of the classes of stone which form the quartz based stone group are explained in ASTM C119. A dense, hard metamorphic quartz based stone typically formed from sandstone. In some deposits, intrusion of minerals during the formation process creates unusual coloration. See ASTM C119. A variety of sandstone including higher content of free silica and siliceous cements than typical quartz-based sandstones. An external corner formed by two stone panels with beveled (usually 45°) edges and blunted, finished noses to reduce the chipping vulnerability of the sharp edges that occur with a common miter. One of the decorative dressed stones or bricks used at the corner of a building. Quoins are usually laid so their faces are alternately large and small. A groove cut into the surface along an edge so as to receive another piece. A curtain wall system in which the outer façade shields, or “screens,” rain from infiltrating the wall cavity, but is not actually sealed. The cavity is pressure equalized with the outside air, avoiding pressure differences that would otherwise draw water into the cavity. Minor amounts of water that penetrate the rain screen are evacuated via weep systems designed into the system. A stone slab of length and width that are not prespecified, but rather determined by the size of the block from which it was cut. A kerf that includes a second cut at 90° to the kerf axis which accommodates position of the anchor so that it doesn’t occupy any of the joint region, allowing full movement capability of the joint dimension. Any feature cut into a stone that is set back or indented from the balance of the stone surface, either to accommodate another element, such as anchorage, or for aesthetic appeal. A limestone in which a new pattern of crystallinity has pervasively replaced the crystal orientation in the original clastic particles, fossils, or fossil fragments, and interstitial cement. The process of insitu finishing of existing stonework to return it to its near original appearance. A narrow groove cut in stone to receive flashing. Any element, metal, fiberglass, stone, etc. that is embedded in or applied to the stone panel for the purpose of increasing strength. One built over a lintel, flat arch or smaller arch to divert loads, thus relieving the lower member from excessive loading. A leftover portion of a slab that cannot be utilized in the primary project, but is salvaged for possible use in another project. The line formed by the intersection of two like profiles upon meeting at an interior corner. A stone patching material supplied as a solid substance and installed in a heated condition to facilitate flowing into surface imperfections to be filled. Remedial action taken to return an existing installation of stone to its original or acceptable “near original” condition. The right-angle turn of a stone surface, either a molding or flat, as in a window jamb condition. Direction in which stone splits most readily. Term is most commonly used for granite or other stone without visible stratification or foliation. In the quarry industries, the term stone is more common and means firm, coherent, relatively hard earth material. A reinforcement technique used principally in countertop fabrication wherein metal or fiberglass rods are embedded into shallow kerfs in the underside of the stone slab at narrow regions of the countertop, such as the portion in from of a sink. See reinforcement. A semicircular arch. If built of stone, all units are wedge shaped. A surface finish resulting from the gang or wire sawing process. A stone finish between smooth machine finish and honed, obtained by mechanical rubbing to a very smooth surface. A term applied to dimension stone used chiefly for walls and foundations, consisting of stone units that may be highly irregular or partly trimmed or squared, generally with one or more split faces, and selected and specified with a size range. Rubble stone may be installed randomly or coursed. Any embellishment done to the joints in stonework, either chamfers or grooves, for the purpose of visually accentuating the joint by increasing the shadowline. An actual piece of dimension stone in a small size used to demonstrate the general color, markings, and finish of a given variety of stone. A matte-textured surface finish produced by small particles (“sand”) striking the stone surface at high velocities. Sandstones are sedimentary rocks usually composed of quartz cemented with silica, iron oxide or calcium carbonate. Sandstones range from very soft and friable to very hard and durable, depending on the depth at which it was buried and the nature of the cement. Generally, the most durable sandstones are cemented with silica.Sandstone has a wide range of colors or textures. See quartz based stone. One who operates a saw. A loose term applying to foliated metamorphic (recrystallized) rock characterized by thin foliae that are composed predominately of minerals of thin platy or prismatic habits and whose long dimensions are oriented in approximately parallel positions along the planes of foliation. Because of this foliated structure, schists split readily along these planes and so have a pronounced rock cleavage. The more common schists are composed of mica-like minerals (such as chlorite) and generally contain subordinate quartz and/or feldspar of a comparatively finegrained texture; all gradations exist between schist and gneiss (coarsely foliated feldspathic rocks). A three-dimensional art form cut or chiseled from a monolithic block of stone. The process of applying a sealer. A tool designed to pull two pieces of stone together and make the surfaces flat with each other. The tools are made with suction cups and attached with a set of steel glides. The tool will allow the installer to apply adhesive, pull the stone together, shim if necessary to make flat, while the tool is holding the pieces together until the adhesive dries. Rocks formed by deposition of particles, or “sediments” laid down in successive strata and cemented together by another agent. The materials of which they are formed are derived from preexisting rocks or the skeletal remains of sea creatures. A common hydrous magnesium silicate rock-forming mineral; generally dark green in color with markings of white, light green, or black. Rocks composed predominantly of such minerals are correctly called “serpentinites”, and are commercially sold as a marble because they can be polished. The definition of serpentine is given in ASTM C119 under the marble group. A field mechanic who specializes in the installation of dimension stone. The installation of dimension stone units. A fine grained sedimentary stone formed by the compaction of clay, silt, or mud. A force that causes, or attempts to cause, internal adjacent planes of material to slide along one another. A piece of plastic or other non-corrosive, non-staining material used to temporarily or permanently adjust the position of a stone unit. A detailed fabrication and installation drawing showing layout, joinery, dimensions, materials, finishes, methods of anchorage, and/or any other information pertinent to the fabrication or installation of the stone material. A document used by a stone fabricator describing the fabrication details of an individual piece of dimension stone, most commonly employing graphics in addition to text, and possibly including production and/or quality control monitoring. Also referred to as a “cutting” or “cut” ticket. Description of a finish resulting from using steel shot abrasive in the gang sawing process without further embellishment. This surface will normally have random linear markings for a rough surface texture. An oxide of silicon with the chemical formula SiO2, found abundantly in nature as sand quarts, or other rock components, The dry cutting or grinding of silica will produce silica dust, which when airborne in particles of respirable size, are a well known health hazard to those exposed to it without adequate PPE. A rock bearing abundant silica. The bottom horizontal part of a window or opening in a structure. A fine-grained, non-carbonate clastic rock composed of detrital grains of quartz and silicate minerals of silt size. Siltstones are rarely marketed as such but commonly are considered as fine-grained quartz-based stones (sandstones). Siltstone is texturally transitional between quartz-based stones and shales (mudstones). Many bluestones and siliceous flagstones fall within this category. The term is included in these definitions chiefly to explain the relationship of some siliceous flagstones to the quartz-based stone category. An artificial manmade product that attempts to resemble natural stone. of the quarry block from which it was sawed. 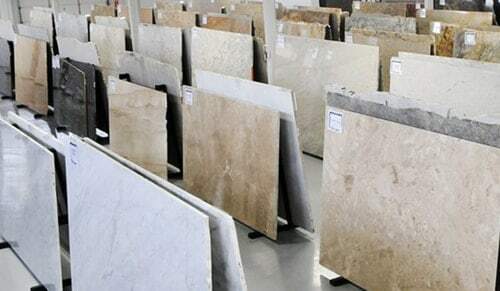 Slabs will generally receive a face finish and further fabrication processes to become usable dimension stone products. A very fine grained metamorphic rock derived from sedimentary shale rock, with excellent parallel cleavage, and entirely independent of original bedding, slate may be split easily into relatively thin slabs. See definition of slate in ASTM C119. A type of strap, typically in the form of a “loop”, made of high-density cloth and rated for the intended load, which is wrapped around an object that is being lifted. A connection which permits vertical or horizontal movement of a stone unit relative to the adjacent unit. A stone sill set between jambs. (compare lug sill). A suspension of insoluble particles in a liquid. A finish of minimum textural quality, presenting the least interruption of surface. Smooth finish may be applied to any surface, flat or molded. It is produced by a variety of machines. A talc-rich stone with a “soapy” feel, used for hearths, tabletops, chemical-resistant laboratory tops, stove facings, and cladding; known for its heat, chemical, and stain resistant properties. The underside of any architectural element, such as an arch, beam, lintel, or balcony. A property of stone used to describe relative freedom from cracks, faults, voids, and similar imperfections found in untreated stone. One of the characteristics encountered in fabrication. A chip or splinter separated from the main mass of a stone. Also known as sprawl. A surface that makes an oblique angle with another surface, such as the non-vertical riser face frequently seen on steps. Stone on which the face has been broken to an approximate plane. The mortar applied to the back of dimension stone veneer to bridge the space between a stone panel and the backup wall. Often used to describe the plaster or mortar spot used with wire tie anchorage. A beam with two lifting slings or cables, one on each end, intended to spread the lifting points while the bar is hoisted from its center. Sometimes synonymous with rock, but more properly applied to individual blocks, masses or fragments taken from their original formation or considered for commercial use. In commercial use, the term stone is more frequently used, while scientifically, geologists and petrographers more frequently use the term rock. The interior sill of a window. The layered structure in sedimentary stone deposits as a result of the deposition of sediments in beds or layers (also “strata” or “lamina”). A horizontal band of masonry, generally narrower that other courses, extending across the façade of a structure and in some structures encircling such decorative features as pillars or engaged columns. May be flush or projected, and flat surfaced or decorated. Also called belt course or band course. To remove coatings that block a stone’s ability to breathe which may cause spalling (when the stones crack, pop, or shale). Some examples of common coatings are topical acrylic sealers, janitorial waxes, and polyurethanes. In limestone and marble, generally a bedding plane, along with differential solution of the material on each side has caused interpenetration of points, cones, or columns, forming a contact surface that is rough when separated. Also known as crowfoot. An angle, plate or other stones which carry a gravity load. (Tile Council of North America) An organization of manufacturers serving the ceramic tile industry, with overlapping interest in the stone tile industry, particularly in installation. The TCNA publishes the Handbook for Ceramic Tile Installation and serves as the Secretariat for the ANSI accredited A108 and A118 committees. 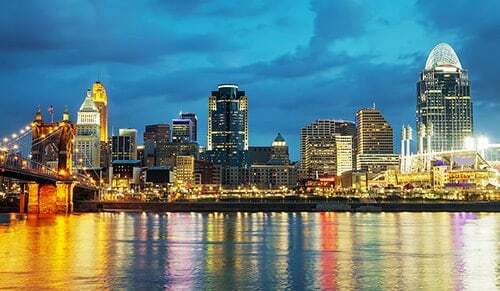 Established in 1945 as the Tile Council of America (TCA), it became the Tile Council of North America (TCNA) in 2003 to reflect its membership expansion to all of North America – Canada, Mexico and the United States. A pattern for a repetitive marking or fabricating operation. 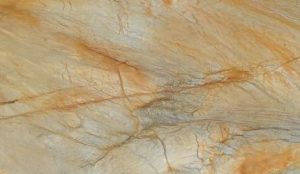 Surface quality of stone independent of color. Any of the rough surface finishes used in dimension stone, selected for aesthetic reasons or as friction performance for walking surfaces. Dimension stone units that are 2” (50mm) or less in thickness. A thin modular stone unit, less than ¾” (20 mm) thick, and not exceeding 24” (600 mm) in its greatest dimension. A device used in stone fabrication areas to move slabs and/or cut-to-size pieces within the shop. The cart has a bed that tilts, allowing it be loaded with a slab in a vertical orientation but unload the same slab in a horizontal orientation. A powder used in the polishing of granite with a talc-like appearance and applied with a felt pad and slow speed buffer. The permissible limit of variation from the specified dimension. A finish that customarily has four, six, or eight parallel, concave grooves to the inch. See also bush hammered. A characteristic of light colored onyxes and some light colored marbles allowing light to diffuse as it passes through. A variety of limestone formed by chemical precipitate from hot springs. Some varieties of travertine take a polish and are known commercially as marble. 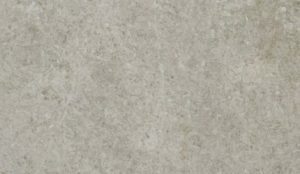 ASTM C119 classifies travertine in both the limestone and the marble groupings. A flat stone used as the top (horizontal) walking surface on steps. The framing or edging of openings and other features on the interior or exterior of a building, including baseboards, picture rails, cornices, and casings. The load resisted by a stone anchor at failure. This load must be divided by the factor of safety to determine a safe load, or allowable capacity. Cut so as to present an overhanging part. A piece of fabricated cubic or thin dimension stone. A thin stone panel used as a privacy partition between urinals. A device used in the handling of smooth surfaced stone which secures itself to the stone surface using vacuum contained within an enclosed chamber that is sealed against the stone via gasketing. A layer, seam, or narrow irregular body of mineral material contrasting the surrounding material in either color, texture, or both. A non-structural facing of stone, interior or exterior, serving as ornamentation and a weather barrier. An interior veneer of stone covering the lower portion of an interior wall. In masonry, a type of anchor, generally a metal strip, used to secure facing to backup wall or to connect the wythes of a cavity wall. Ties are mortared into joints during setting, and thus do not require that slots or anchor holes be cut. A wall in which the inner and outer wythes are separated by an air space but tied together with metal ties. The slope on the top of a stone unit intended to shed water. Any system that recovers water used in shop fabrication machinery and restores it to a reusable condition by filtering and/ or chemical neutralization, after which it is returned to service. Any of several types of liquid-applied formulations used to render masonry walls less absorptive. These treatments are said to maintain a material’s ability to breathe away moisture, as distinct from “sealers” which form impervious, non-breathing coatings. A course that projects from the face of a wall, generally near grade and having a beveled top and a drip cut in the projecting underside, to deflect water. A surface treatment performed by using water under extreme high pressure. The practice of filling minor surface imperfections such as voids or sand holes with melted shellac, cabinetmaker’s wax, or certain polyester compounds. In the dimension stone industry, it does not refer to the application of paste wax to make surfaces shinier. 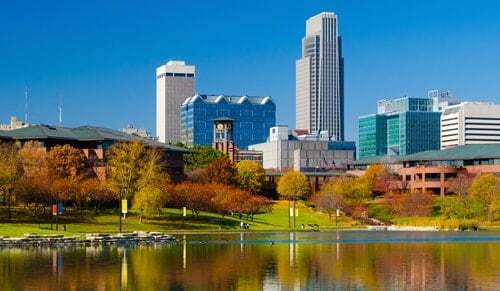 Natural alteration by either chemical or mechanical processes due to the action of constituents of the atmosphere, soil, surface waters, and other ground waters, or by temperature changes. Splitting of stone by driving wedges into planes of weakness or holes in the stone. Openings for drainage in veneer joints or in the structural components supporting the veneer. A method of cutting stone by a wire or cable. Traditionally, the term applied to the use of a twisted wire carrying an abrasive slurry as the cutting agent. Currently, the term is more frequently used, to describe the use of a cable that is fitted with diamond abrasive segments at regular intervals, cooled with water. American Concrete Institute (ACI), Farmington Hills, MI. 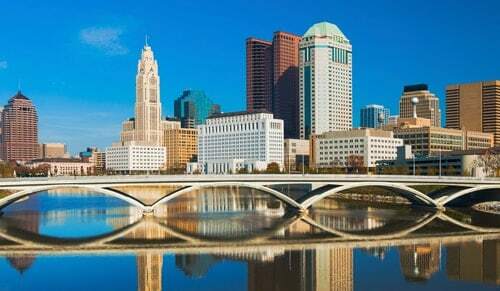 ASTM International. ASTM C119: Standard Terminology Relating to Dimension Stone. Amrhein, James E., and Michael W. Merrigan. Marble and Stone Slab Veneer. Los Angeles: Masonry Institute of America, 1986. Bates, Robert L. and Jackson, Julia A., ed. Dictionary of Geological Terms. 3rd edition. Carnella, Enrico. The Architect’s Handbook of Marble, Granite and Stone, Volume I, Technical Guide; New York: Van Nostrand Reinhold, 1990. Chacon, Mark. Architectural Stone: Fabrication, Installation, and Selection. New York: John Wiley & Sons, Inc., 1999. Indiana Limestone Institute of America, Inc. Indiana Limestone Handbook. 22nd Edition. McGraw-Hill Construction. Sweet’s Catalog.Chicago: McGraw-Hill Construction, 2010. National Building Granite Quarries Association, Inc. Specifications for Architectural Granite. Washington, DC: NBGQA, 2011. National Tile Contractors Association. NTCA Reference Manual. 2011. Patton, John B. Glossary of Building Stone and Masonry Terms. Geological Survey Occasional Paper 6; Bloomington: Indiana Dept. of Natural Resources, 1974. Pit & Quarry. Glossary of Terms. By: P&Q Staff, 2007. 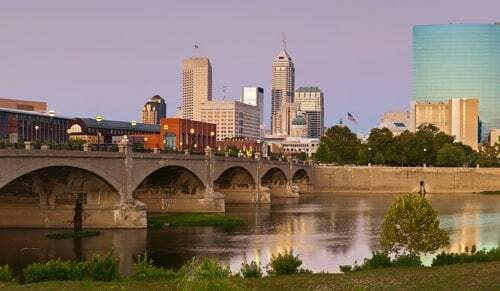 Prestressed Concrete Institute. Stone Veneer-Faced Precast Concrete Panels. R.E.D. Granti S.p.A. Stone Industry Technical Glossary. Massa: promorama, 2003. Tile Council of America. Tile Council of North America Installation Handbook. Winkler, Erhard M. Stone in Architecture. 3rd ed. Notre Dame: University of Notre Dame, 1994.